Grace Group Co.,Ltd. organized in 1983, was located for the Zhejiang Qingtian economic development zone, the company registered capital 50.08 million Yuan, the area 20,800 square meters, the floor space is 10,800 square meters; The staff 1,100 people, are a fair technique grind, the development, the production, sell and serve a body medium self-management and the import and export enterprise. 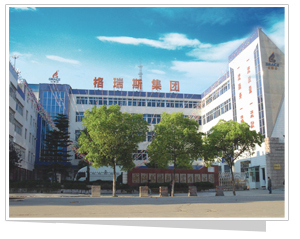 The company mainly manages the shoes industry, the real estate, the investment, the clothing, the market development and the import and export business, has the property 180 million Yuan. In specialized production each kind is upscale male, the female leather shoes, each kind of professional leather shoes, special work protection leather shoes, male, female police leather boots, annual output 300 ten thousand pairs, year sales volume 310 million Yuan. The company establishes the provincial level technology center, comprehensively inducts the CIS system, and through the ISO9001-2000 international quality system authentication, establishes the modernized enterprise control system, strengthens internal scientific management. The company researches and develops a nanometer far infrared maintains warmth the health care leather shoes through the provincial level science and technology achievement appraisal, recognized for the international advanced level, already invested the volume production. The company passed through the meticulous investigation and study, has promoted the our country first professional leather shoes brand -- Grace antibacterial professional leather shoes, has filled the domestic professional leather shoes specialized brand blank.The company produces the special work protection professional leather shoes (boots) -- the protection security shoes (steel), guards against the static electricity electric conduction leather shoes, the electric insulation leather shoes, guards against the thunder and lightning leather shoes, puncture-proof puts on the leather shoes, bears the acid and alkali oil leather shoes, has each kind of specialized protection function, antibacterial, skid prevention, wear-resisting performance fine, the design novel, the craft is elegant, the quality excellent, deeply measure unit to be used high praise. The company is evaluated the Zhejiang Province quality control advanced enterprise, the Zhejiang Province quality good faith star enterprise, the Zhejiang Province good faith demonstration enterprise, the company "Grace", "the troops" the sign leather shoes for the national exempting from inspection product, the Zhejiang famous brand goods, the Grace trademark for the Chinese famous trademark. The company wholeheartedly welcome the general merchants to come to inspect the instruction, is willing hand in hand to advance together, altogether creates magnificently!